"A vampire in a hijab is such a provocative image that I’m surprised it’s never been used before. This mashup of predatory, sexually charged vampire imagery and the hijab’s minimizing of a woman’s personality, body and mobility makes for a cracking incongruity that director Ana Lily Amirpour exploits to the max, turning a clumsy mass of heavy black cloth into her vampire antiheroine’s bat-wings. 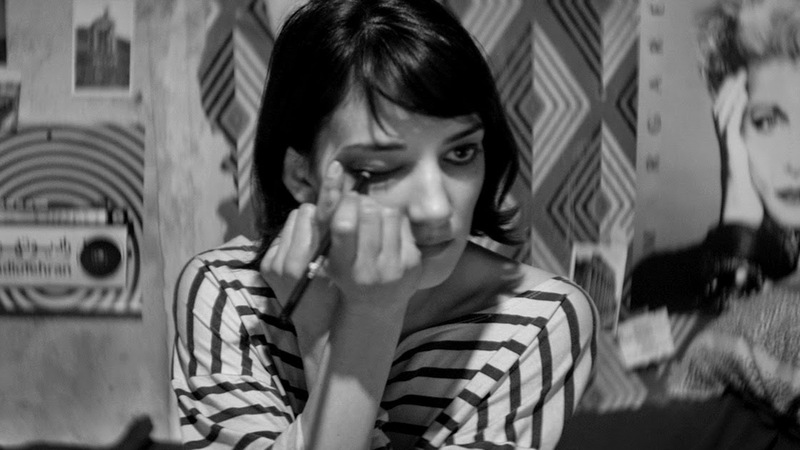 A Girl Walks Home Alone at Night is set in Bad City, located in a bizarre future Iran. The streets are largely devoid of life and the inhabitants all housebound drug addicts or walled-in rich. The camera pans around the empty city, casually showing us a river bed full of rotting corpses. What the hell has gone wrong in this world?"